Authorities: Belgium Attacker Engaged in 'Terrorist Murder' - Integration Through Media ....! 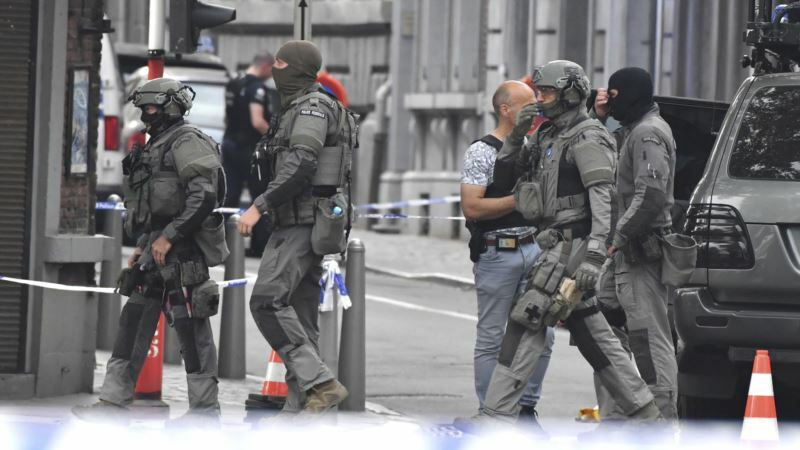 (VOA): A man who murdered three people Tuesday in the Belgium city of Liege engaged in an act of terrorism, prosecutors said Wednesday. Benjamin Herman repeatedly stabbed two female officers with a knife from behind before seizing their handguns and shooting them as they laid on the ground. Herman also shot to death a man who was a passenger in a passing car. Police fatally shot Herman after taking at least one woman hostage at a nearby school. Investigators said Herman's methods were encouraged in online videos produced by the Islamic State militant group. Prosecutors said Herman yelled “Allahu akbar,” an Arabic expression for “God is great” several times during the killing spree — which also resulted in four officers being wounded. Authorities said Herman, who was on a leave of absence from jail when the attacks occurred, had several encounters with police since he was a minor. Interior Minister Jan Jambon confirmed Tuesday that Herman had murdered another person on Monday. Although the attacks are considered acts of terrorism, Jambon cautioned authorities not to jump to conclusions. “There are signals that there was radicalization in the prison, but did this radicalization lead to these actions? There, too, we can ask ourselves a lot of questions,” Jambon said in an interview on the French radio network RTL. Belgium has been on high alert since January 2015, when authorities neutralized a terror cell in a town near Liege that was plotting an attack on police. The cell was linked to the mastermind of the November 2015 IS attacks on Paris that killed 130 people. In March 2016, IS suicide attackers targeted a Brussels airport and subway station, killing 32 people.